Catharine was a successfully published author, having written several accounts of settler life. Her attention to the natural environment brought her much attention as a respected botanist. 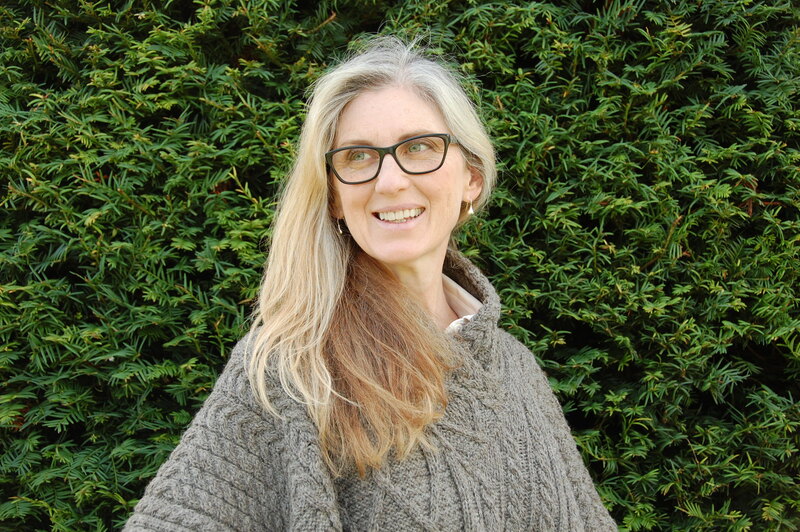 She wove facts into works of childrens fiction to engage youth in the romanticism of the natural environment. I suppose, that much like today, parents often were too busy scratching out a living to invest time in exploring the world outside that of the farmer or the shopkeeper. 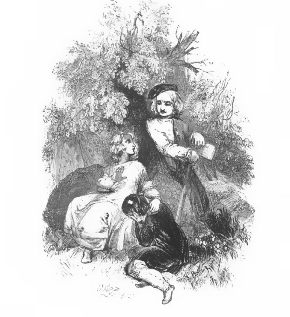 I wonder if Catharine wrote not only to invite children into the woods, but to teach them a reverence for this provider of food and shelter. It is a place to be respected, as harm may visit us there, but also it is a place that can save us from peril, if we’ve taken the time to become familiar with its gifts. 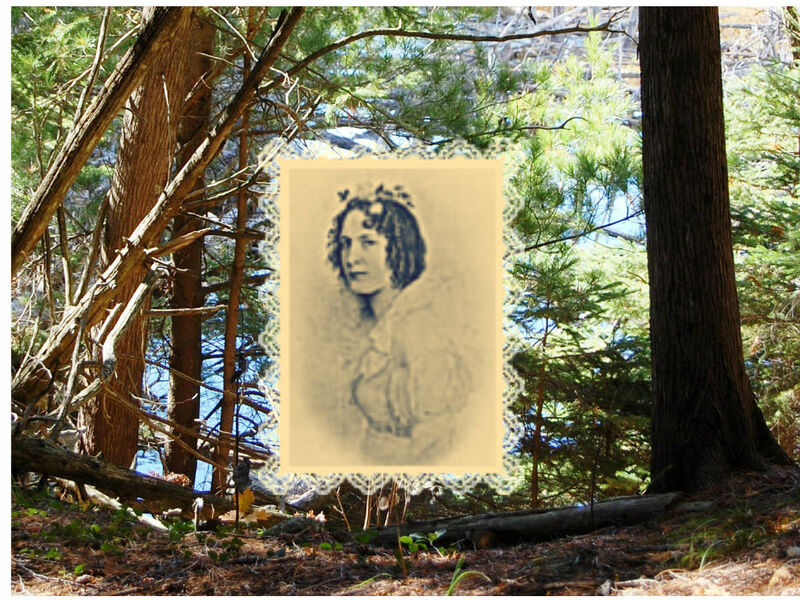 Catharine sang high praises for the beauty of Upper Canada forests, especially in early summer when the buds erupted and gave way to beautiful fruits and flowers. She claimed they were equal to the finery of an English garden. She listed the scarlet enchroma, trilliums, lilac geraniums, cypripedium or moccasin flowers, and lupines mixed in with lilies and ferns. In Pearls and Pebbles, published 1894, she described Indian Pipe, a kind of golden rod called “dodder”, Berberry bushes, and dogbane. She mentions pitcher plant and milkweed. She goes on to praise, in great detail, the varieties of mosses and lichens found in the forest and their practical day to day uses. She took delight in discovering roses growing wild and in the spruce and balsams that lined the streams. Hop- vines wound their way through the trees. Delectable fruits were found on high-bush cranberries and strawberries plants spread through the forest floor. Overhead, she saw blue jays, cardinals and red-headed woodpeckers. On the ground, there were partridges, each “striking his wing upon his breast to woo a gentle mate”. There was a tremendous amount of game in the forest. In Catherine’s stories, she also wrote about mineral resources, like “… the mossy limestone or blocks or red or grey granite” or bits of glimmering quartz in the bottom of a stream. All of these natural garments clothed a countryside of rolling hills, steep ravines, and winding trails and waters edge. 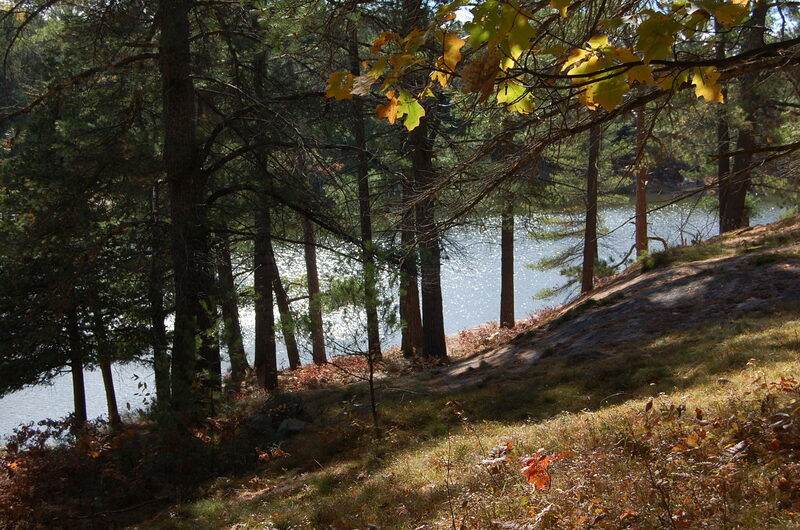 She discussed the wealth of timber, ranging from groves of oak and pine to the soft maple, birch and hemlock. There was an abundance of elm, hickory, and beech — good hard wood for the handles of brooms or axes, she pointed out. Delving into research about Catharine Parr Traill’s work has been rewarding. I’ve discovered too many gems to share in one post. Having said this, I must tell you about that a favourite of mine involves a naked lumberman climbing out of the river to return her friend’s hat. My desire to learn more about her writing stems from an interest in my own history. My Irish ancestors arrived at Bytown (now Ottawa) in 1830. Catharine Parr Traill and her husband arrived in Canada in 1832, sailing down the St. Lawrence, past the Grand River (now the Ottawa River) and onto Couburg, on the coast of Lake Ontario. Her writing gives context to the experience of my fourth great grandparents and their children. I can walk through the woods with her words to see what they saw. Grasping a sense of their challenges, what they may have worried about, is just the fuel I need to keep my imagination in a perpetual forward motion. Are you familiar with Catharine Parr Traill? Or perhaps someone like her? If you have a comment or a question, I’d love to hear from you. I’d love to know how you find all these amazing women Gwen. Your posts are full of great writing, history, inspiration and wonderful photos. I’m giggling with delight. Your comment will keep me walking on air for some time. The exploring is made all the more enjoyable when I know I’m sharing with people with like minded people such as yourself. Take care! I’m so glad you enjoyed this piece. Thank you for taking the time to say so. Hi, Gwen — nice post. I first heard about her through a biography I bought years ago in Montreal. If you don’t know of this biography, I HIGHLY recommend it: _Sisters in the Wilderness: The Lives of Susanna Moodie and Catherine Parr Traill_, by Charlotte Gray. Interesting also, that a sister who stayed behind, Agnes Strickland, also became an author. Quite an interesting family to read about. Good luck too with your own ancestry search! Catherine Parr Traill and Susanna Moodie are my heroes. If those two can survive mostly on their own in the wilds of Upper Canada I feel like I can do anything, they are an inspiration. Liz, thanks so much for taking time to write! I really appreciate it. I find these two sisters fascinating as well. Knowledge of day to day pioneer life is owing largely to their written works. You might enjoy Sisters in the Wilderness: The Lives Of Susanna Moodie And Catherine Parr Traill written by Charlotte Gray. It’s a fabulous book. If you give it a try, I hope you write back to let me know if you enjoyed it.